Wanting big, big bedrooms and four of them, large fenced in back yard, and much more??? 1787 sq ft includes 4 bedrooms (1 on main, 3 up), dining room, living room, galley kitchen, laundry on the main floor, 1 full bath, porch, and extra storage upstairs. Built in 1890, this house has some charm; unique staircase and windows! Maintenance free siding. One car detached garage. 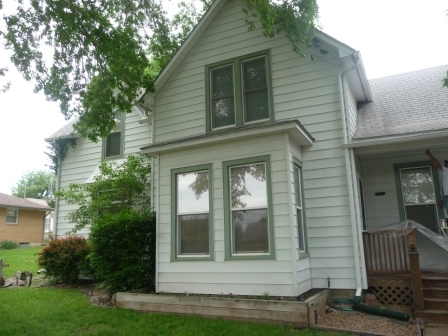 Centrally located, 1/2 block from elementary school and 3 blocks from downtown. For a personal showing contact Lynn Wilhelm at 402-269-7468.